We’re Rewarding Your Loyalty with Monty Perks! Exciting, isn’t it? Now you not only will you be renting a luxurious RV from one of our locations nationwide, you’ll also be earning points for each night rented and for keeping up with our rental specials and travel information. As we mentioned, this is one easy-to-redeem loyalty points program. All you need to do is log into your account and print the reward certificate earned. The certificate is then presented to the El Monte RV Rentals counter agent when you pick up your RV. It’s that simple! Your points never expire and they’re good at all of our locations. Ready to start earning points? 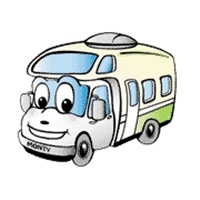 Go to El Monte RV Monty Perks and create your account. (Make sure you include a valid email address.) Then all you have to do to earn points is to take advantage of our great RV rental rates when you’re ready to travel. Once again, we appreciate your loyalty! This entry was posted in RV Vacation News and tagged Monty Perks. Bookmark the permalink. ← It’s Time for Gearheads to Take an RV Trip to the Motorsports Hall of Fame!